Type: BOOKS. Detail: Ulmann & Schmidt. Product Code: 9783283010065. The strategy and tactics associated with the open file are explained here clearly and comprehensivelyhow files are opened, blocked, occupied, and exploited as roads along which to invade the enemy position. A brief introduction lays the theoretical foundations and is followed by illustrative games, in all of which the open file is the dominant or deciding factor. In each game there is a pause at a key position where a clear verbal assessment is given; these assessments teach the reader how strong chess players thinkwhat to look for, how to assess, and how to plan. 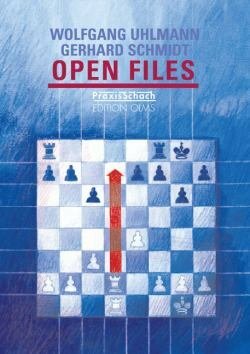 The book benefits not only from Gerhard Schmidt's experience as a trainer but also from the huge knowledge and skill gained by Grandmaster Wolfgang Uhlmann during his long and successful career in topclass chess. Softback, 164 pages.